As of 16:50 Eastern Standard Time. This entry was posted in Bayesian Reasoning, Current Affairs, Economics, Law, Politics, Probability. Bookmark the permalink. It seems to me that there was a lot of hand-wringing but not a lot of analysis as to why the “betting crowd” got the outcome wrong. Agreed. Almost everyone has overlooked this point, i.e. 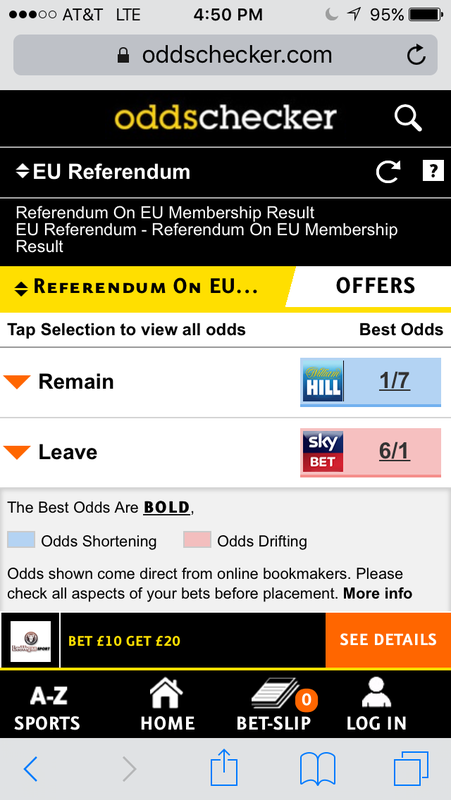 the fact betting markets also got this wrong. Not that this is related, but I was also surprised, listening to BBC World Service, that there is apparently some kind of news blackout in the UK on election-day reporting. On-air reporters were carefully crafting their words on the subject that day. I wonder if there is some kind of barrier in the UK to doing exit-polls etc.